Aleksandr Svirski was used in none of the matches in the present term. Aleksandr Svirski is currently first in Vysshaya Liga (Belarus) and second in group L of UEFA Europa League with his team FC BATE Borisov. Born on February 28, 1999, his age of 20 underlies his team's mean. Before joining FC BATE Borisov, he was engaged in the squad of Belarus. Aleksandr Svirski received the jersey number 28 at FC BATE Borisov. FC BATE Borisov has three more goalkeepers in their squad, namely Anton Chichkan, Aleksei Chernykh and Denis Shcherbitski. As for winning percentages, he won with FC BATE Borisov 100% of their home matches (70% in total) in Vysshaya Liga and 33% of their home matches (50% in total) in UEFA Europa League. 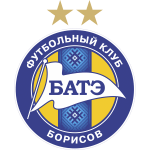 FC BATE Borisov enjoys a 3-game winning streak during the last 5 games of the current season.